Gem Boy Jump HD is a platform jumping game that uses precise tilt calibration for accurate and fast-paced gameplay. After a countdown from three, your Gem Boy automatically starts jumping, but you’ve got to control his horizontal movement to reach new platforms without falling. Your objective is to collect gems. The higher you climb, the more gems you’ll collect. There are three kinds of platforms; some you may only use once, some are permanent and stationary, and others move horizontally. Gem boy, on the other hand, is never still; he is always jumping. To keep Gem boy on a platform while you contemplate your next move, simply refrain from tilting your device. This guy is spring-loaded, so it’s easy to send him to his final resting place if you don’t stay calm, cool, and collected. Platforms carry more than just valuable gems. Power-ups, such as the leaf, shield, and magnet, will help you on your gem-collecting adventure. Collect star launches to advance past tons of platforms at once. Hearts will earn you an extra life. In your search for valuable gems, you can’t expect to be alone. Gem thieves can be found jumping from platform to platform trying to steal the gems before you reach them. Avoid colliding with the thieves. They’ll either take your life, or all of your gems. Gem Boy Jump HD offers two game modes, three difficulty levels, and four themes. Local and global high scores are automatically saved and recorded in ScoreLoop. After each game, you’re given stats: game time, gems collected, power-ups collected, star launches, gem thieves stopped, platform jumps, and an ultimate score. Jump through the sky, space, ice, and lava on your journey for gems with Gem Boy. 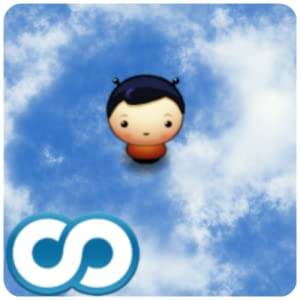 You can download this game for free today only here! 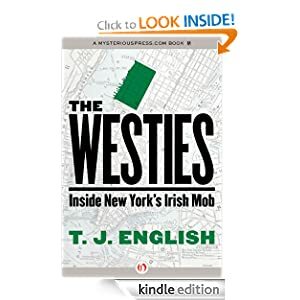 This entry was posted in Kindle Applications, Kindle Apps, Kindle Books, Kindle Daily Deal and tagged Gem Boy Jump HD, T. J. English, The Westies by Paul. Bookmark the permalink.